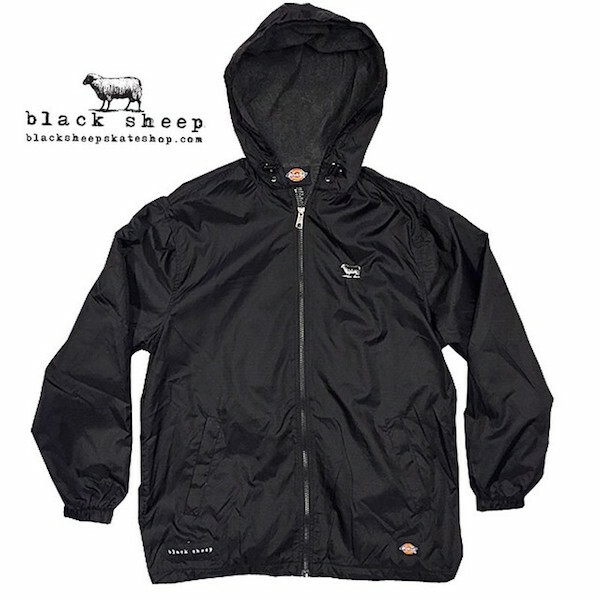 Limited re-up in one our favorite jackets of all time– the Black Sheep x Dickies Hooded Windbreaker jacket. 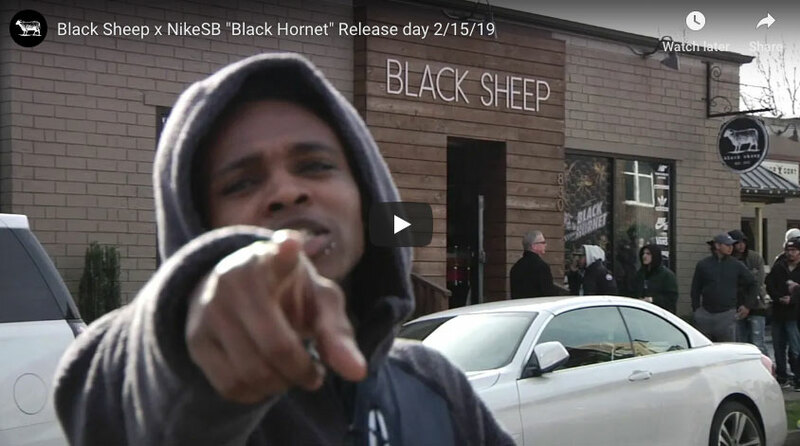 Features Sheep icon logo embroidery front chest, Black Sheep woven label bottom right front and Dickies Workwear label bottom left front. Nylon water resistant and repellent outer with fleece lined interior, zip front closure, front slit pockets, interior stash pocket, drawstring with locks at hood and bottom, and elastic cuffs sleeves. Available in sizes Small – XLarge.